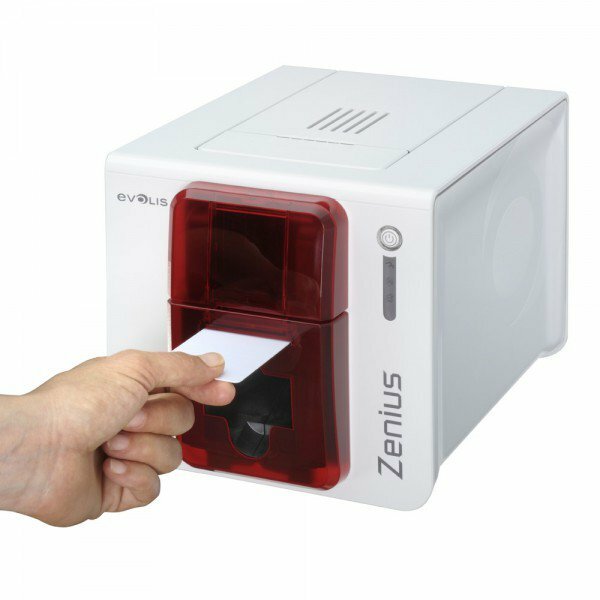 Zenius is the one-stop solution to print high-quality single-sided cards, in monochrome or colour, and encode technology cards, singly or in runs, for a variety of applications:employee badges, access control badges, payment cards, transportation passes,and more. With a low sound level and its amazingly small size, Zenius can be accommodated in virtually any environment, be it a welcome desk, a sales counter, or an office desk. 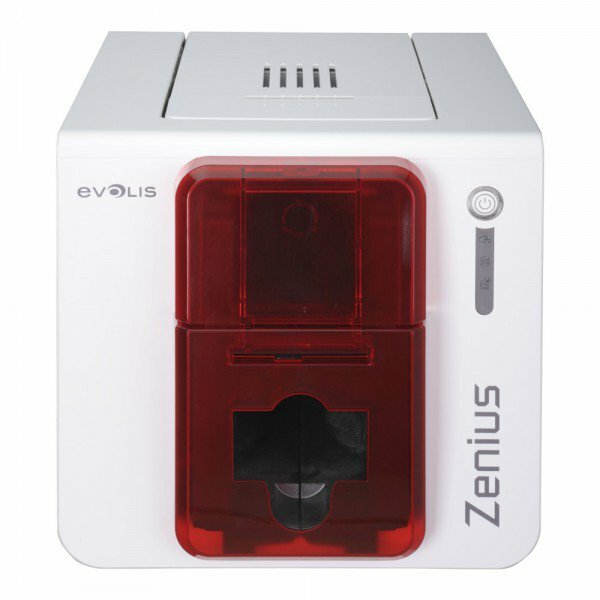 By its really low weight, Zenius is the lightest printer in its category. 46dB(A) 7.3 lbs. 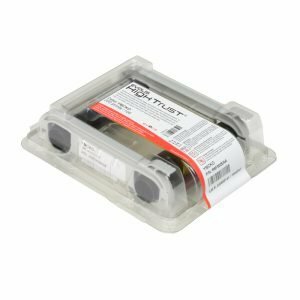 The Evolis High Trust¨ range of consumables is specifically designed to deliver premium graphic performances and ease of use.Installing the ribbon cassette is a simple one-step process and thanks to a chip, Zenius instantly identifies the ribbon type and configures all settings accordingly. 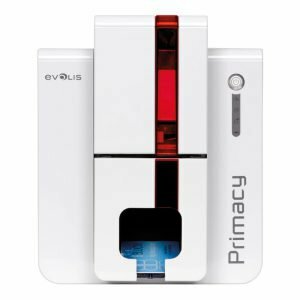 Evolis Premium Suite¨ , software, at the core of all new Evolis printers. This software architecture supplies the Print Center, a printing and configuration system that monitors all communications between the printer and the user.The printer’s operation can be managed entirely right from the user’s interface and through pop-up notifications on the printing status, ribbon availability and maintenance tasks.This Printer Manager also offers direct access to the Evolis Web-based Support Center, available on a 24/7 basis. 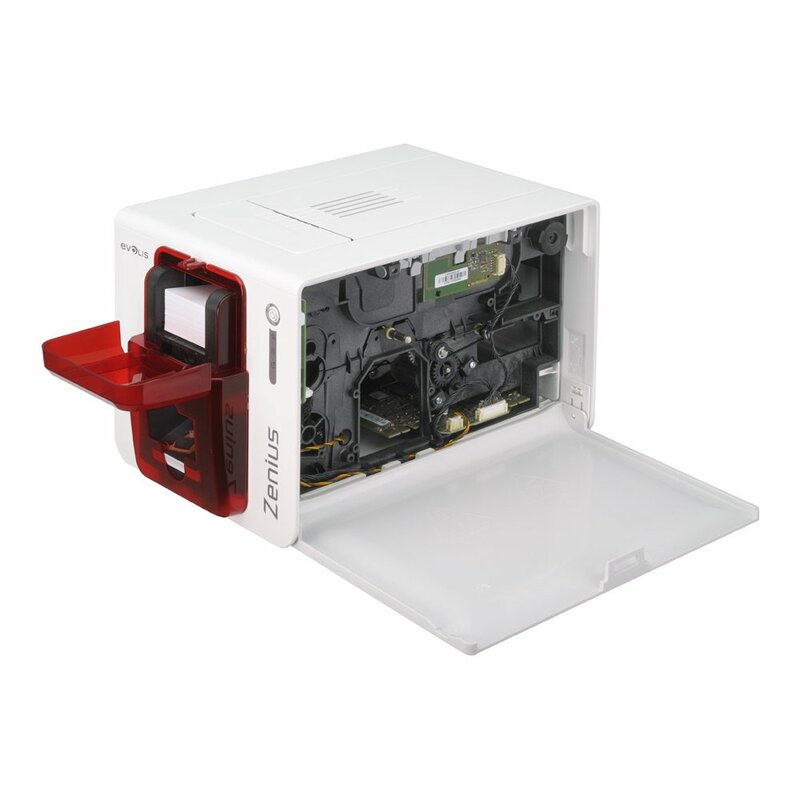 Regular cleaning is required after 1000 prints with advanced cleaning recommended after 5000. 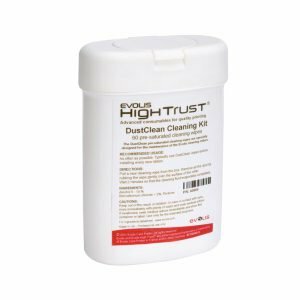 For Evolis cleaning kits click here.